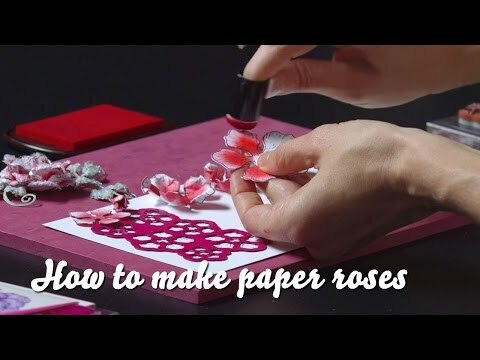 Watch video on making Dogwood flowers: https://youtu.be/gl8RgHAt3vE. 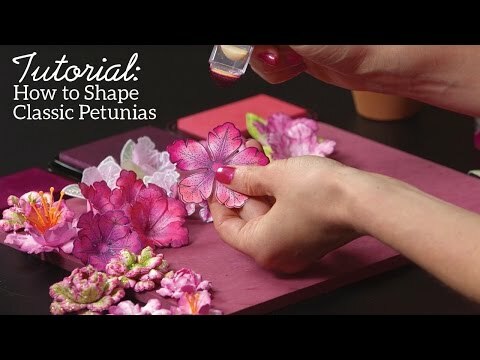 To see how to shape the petunia watch this video: https://youtu.be/KOy_gNB9OAk. To see how to shape the Sunflower watch this video: https://www.youtube.com/watch?v=faTpandFJLI&t=17s. Instructions: To view some of the pages of this journal, see here. Visit my blog to see more photos. Use your paper pack and cover the front, spine and back covers of the 8 1/4" x 9" journal. Also cover the insides of the front and back covers. I made the medallion on the front by using the Window Box Accents Die and then fussy cutting a piece of the paper collection. Glue the two pieces together and add dimensional tape to the back to pop it up a bit. Add all the decorations you want on the outside and then on the inside of the front cover I made a pocket so I could add more photos or other keepsakes. Next pick out which pictures you want to showcase as well as the journal pages you want to use. Now decide about the flowers you want to use. When using the Foam paper for the roses, I stamped the petals and leaves with Timber Brown Stazon Ink and Memento Inks. I colored the flowers with various Memento inks as well as Pan Pastels. Using the corresponding dies cut out the flowers and petals. When I used the Foam paper I used the heat tool to warm the petals and leaves then I shaped and set aside. When using regular card stock to stamp and cut out the sunflowers, petunias, dogwoods and leaves I used Rich Cocoa Memento Ink and then I used the traditional flower shaping techniques and the Deluxe Flower Shaping Kit to shape everything. 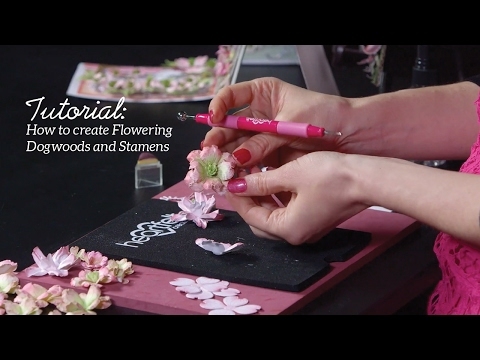 You can refer to the video links to suggestions in the shaping of each flower. Crop the photos (I used the Large Oval Dies and the Large Circle Dies for this) and decide on the placement and then glue down flowers and do the journal page about each person. 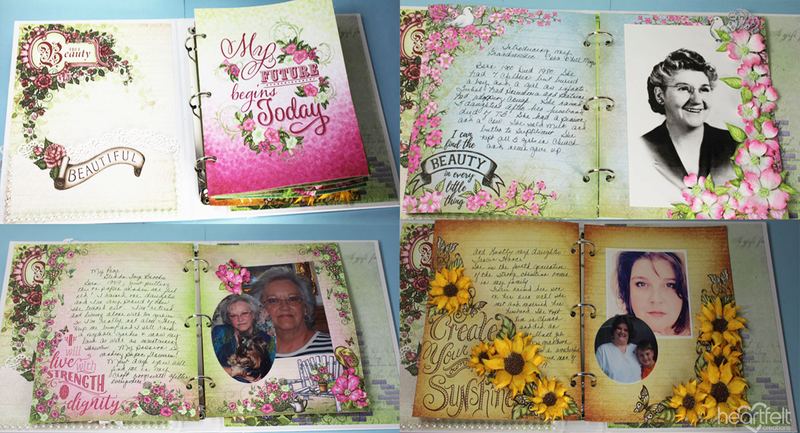 I chose Four Generations of Strong Christian Women in my Family for my journal.